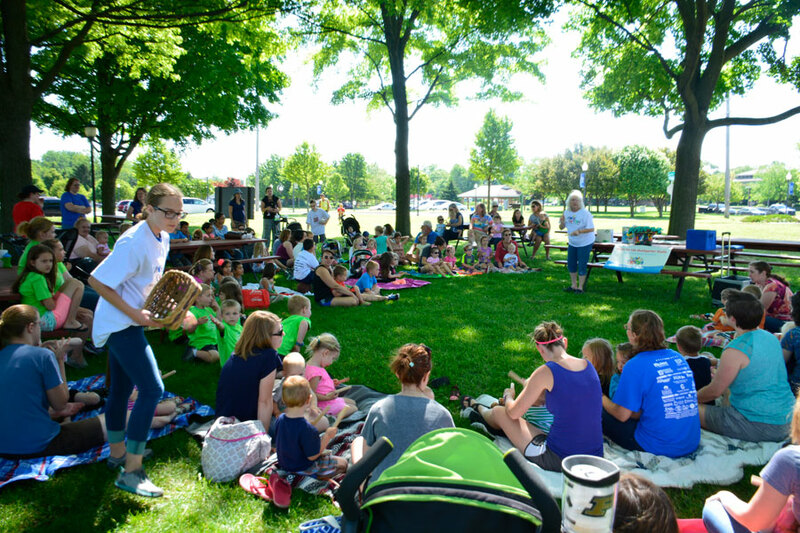 WARSAW — A crowd of parents and children gathered at Center Lake Park at 11 a.m. today, Monday, June 6, in order to take in Stories In The Park. As the children gathered, reader Lynelle Vogel set up her story books and prepared to read. 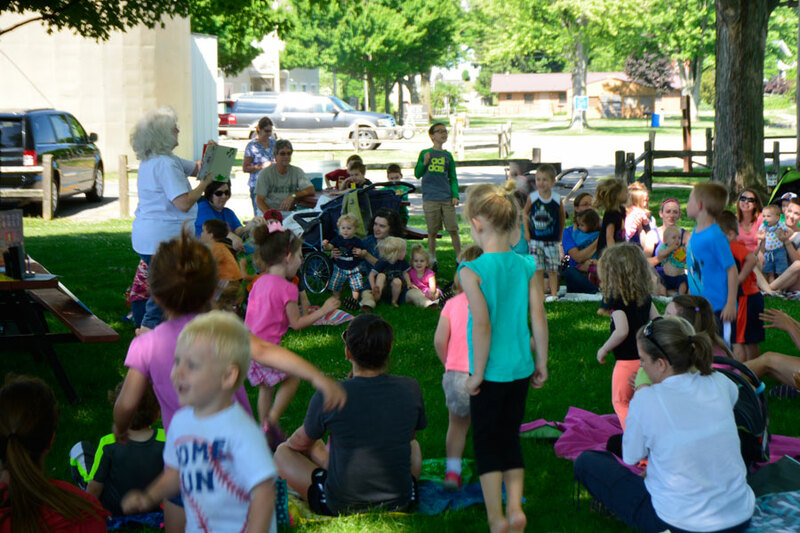 “We’ve been doing this program for 10 or more years… maybe it’s closer to 20,” said Stephanie Hershberger, an employee of the Warsaw Community Public Library who works in the children’s department. “We have anywhere from 40 to 80 people at a time… sometimes 100,” Hershberger continued. Susan Kane, a mother of two children and an attendee of the event said, “This is our first time … the teacher seems lovely and energetic.” The reader, Vogel, made gestures and spoke in funny voices as she read the books. “It’s fantastic,” said Jill Ciula, another mother who was in attendance. “She’s a very dramatic story teller. It’s great to have a different reader every week to give the kids some variety,” she continued. 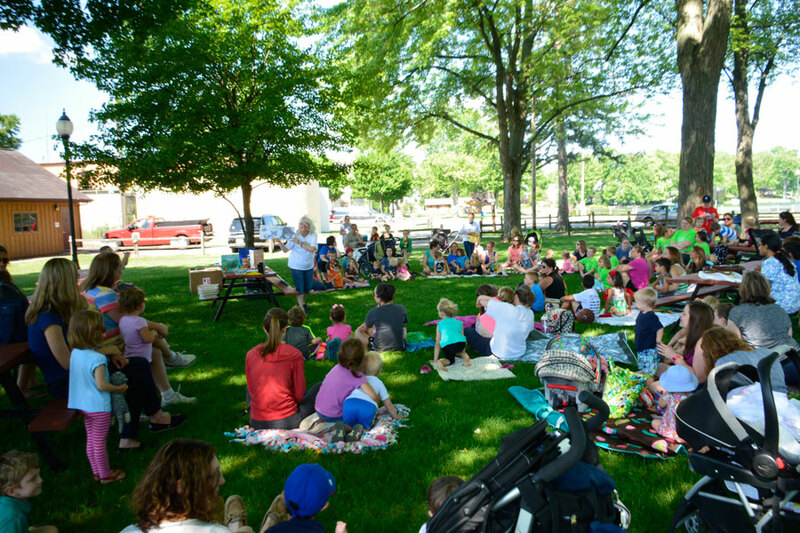 Stories In The Park will continue from 11 to 11:30 a.m. every Monday at Center Lake Park and every Wednesday at Winona Lake Park through June. 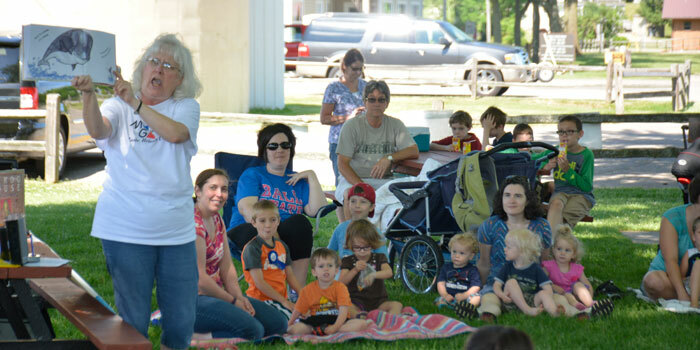 In July, there will only be readings every Wednesday at Winona Lake Park. There is no fee or registration required. Children jumping while Lynelle Vogel reads “Jump” by Scott Fisher. Children gathered around while Vogel entertained at the park. Kids listening to Vogel as she reads them a story.